Detailing the physical features, habits, territorial reach and other identifying qualities of the Spanish Moth. 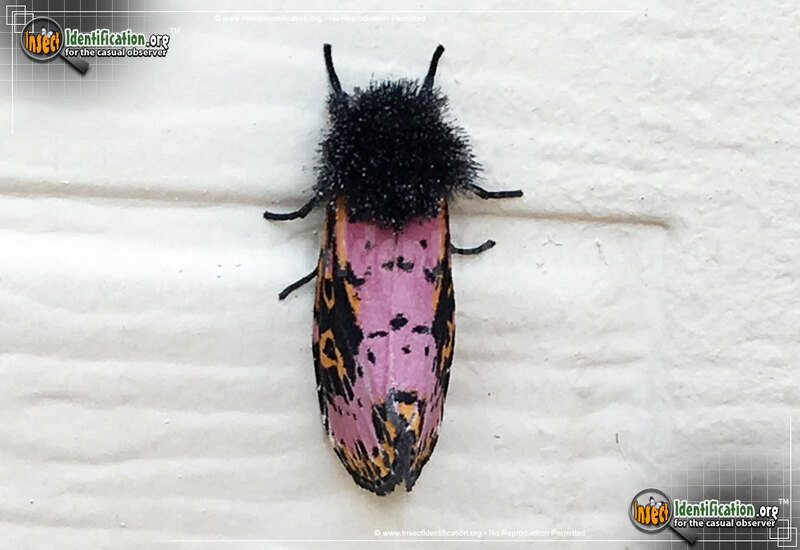 The unusual purple and orange wings coupled with a furry black 'shoulder wrap' make the fashionable Spanish Moth a true standout. 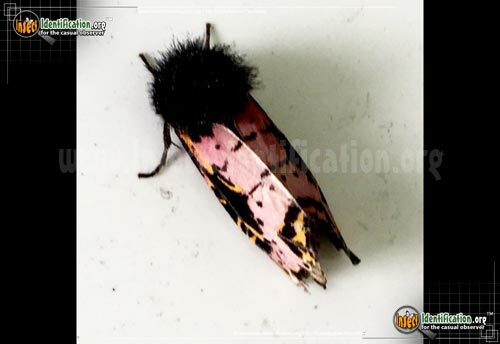 One of a handful of purple or pink moths in North America, the Spanish Moth is bright and conspicuous wherever it is. Despite its name, the moth is a native to the continent and can be see in eastern states, especially those in the South and Mexico. It is said that the wings resemble the colorful patterns and playful textures typically seen in fashion from Spain. These stylish wings and hairy 'shoulders' look like a cloak. Orange and black blotches cover the sides and bottoms of the purple wings. Legs are black. The Spanish Moth is attracted to light at night and can be seen near its host plants: fig trees and smaller plants like daffodils, narcissus, jonquils, and spider lilies.